By the time we got to Granada summer was in full force. 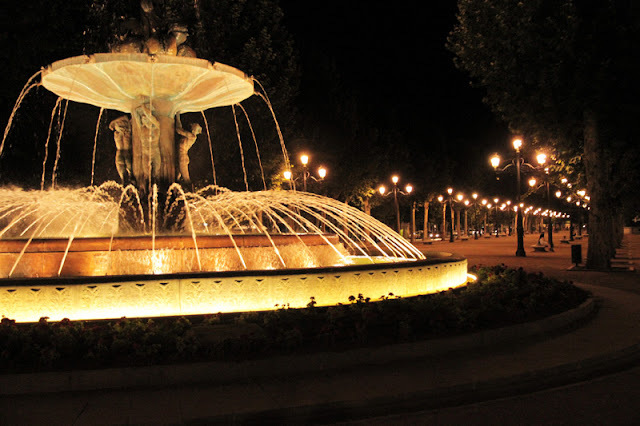 We were spoilt by the sea breeze in Barcelona and Valencia. 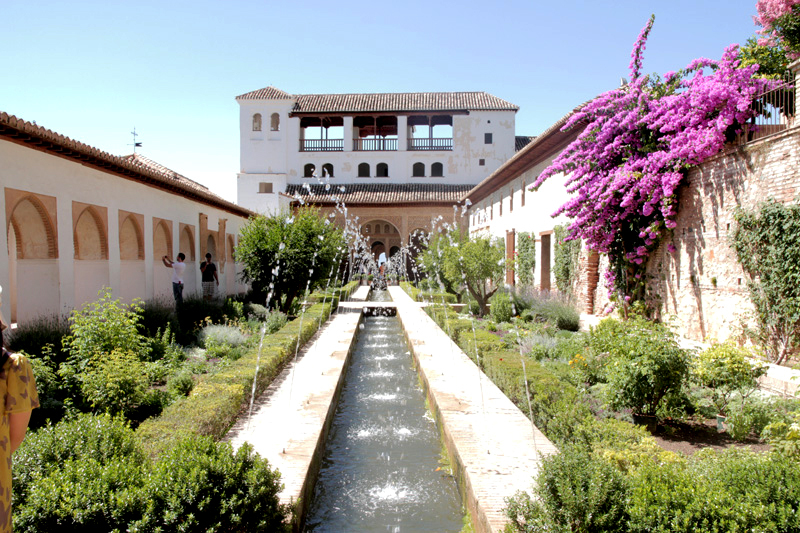 Granada is further south, more inland and surrounded by beautiful mountains. So not so much breeze but full on beating down sun. 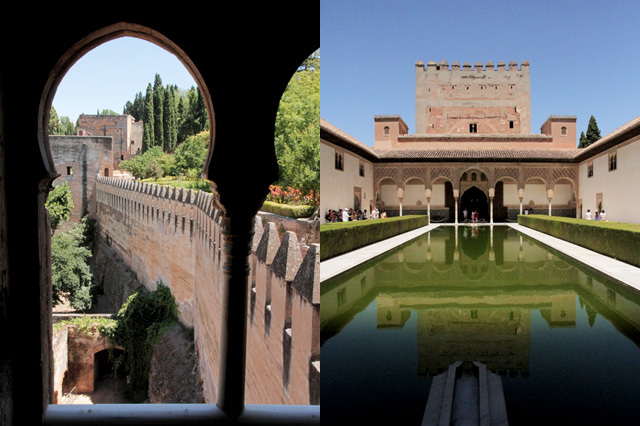 We had been told to come to Granada by Jakes sister Bryah for one reason, and that reason was to spend a day at The Alhambra. 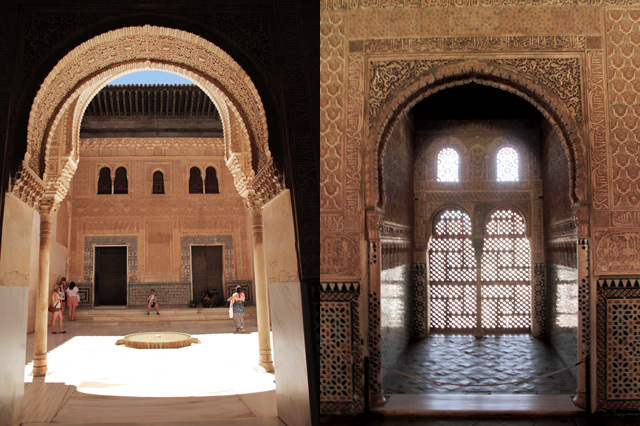 al-Andalus. It was built for the last Muslim Emirs in Spain and its court, of the Nasrid dynasty. After being allowed to fall into disrepair for a few centuries. After being 'rediscovered in the 19th century by European travellers and academics, restorations started and it is now on of Spain's major tourist attractions and a UNESCO World Heritage site. 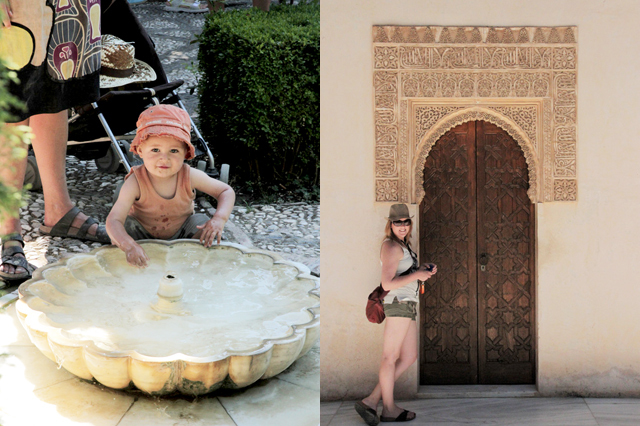 Jake and I spent a whole day at the Alhambra, marvelling in the amazing Islamic architecture, and gorgeous gardens. I particularly loved the the archways and the frame they set for the next room. 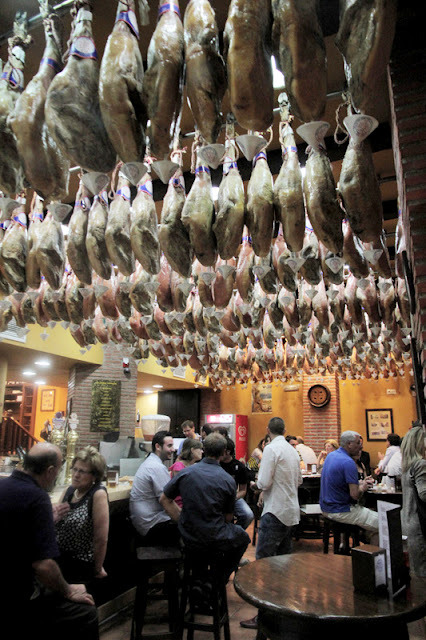 So after an amazing day at the Alhambra, we had worked ourselves into a hunger frenzy, we stopped into a restaurant purely cause I loved all the Jamon hanging from the roof. Although our salad was really nice, and throughout Europe we realised that if you order a salad this is the basically the same dish you get everywhere. 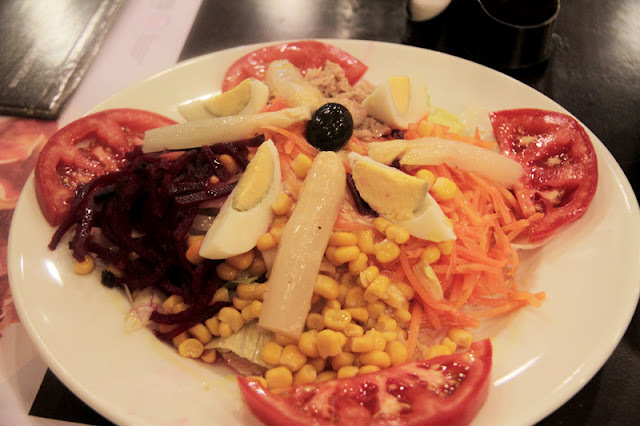 Lettuce, tomato, carrot, corn, egg, tuna, olives sometimes beetroot and whit asparagus. You always dress it yourselves with the standard olive oil and vinegar bottles on every table. Thanks Granada you were lovely... Now off to the party island Ibiza! !